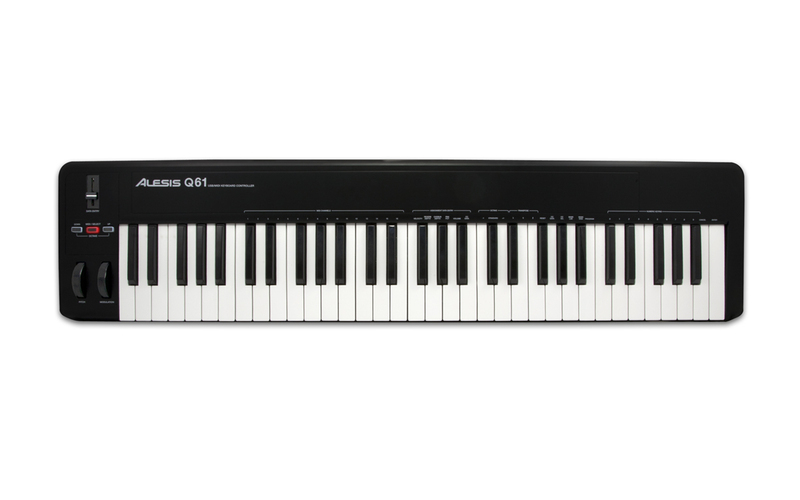 The Q61 is the perfect choice for controlling hardware MIDI devices. Its compact size and portability make it ideal for fitting into existing rigs and then hitting the road. 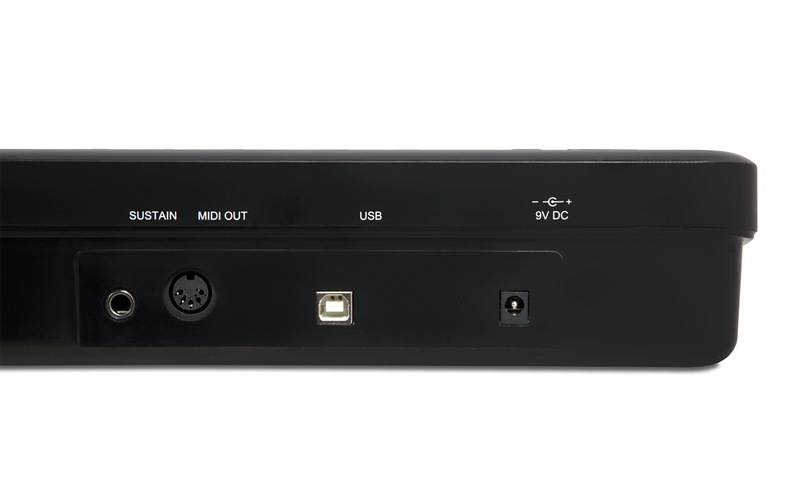 Place it a tier above an existing workstation keyboard and utilize Q61's streamlined layout to maximize your sound and performance options. You can even send Program Changes from the Q61's keys to change programs, patches, and more. The Q61 comes with Ableton's Live Lite and AIR Music Tech's Xpand!2 software so you can perform, record and sequence music right out of the box. You’ll get audio recording and production capabilities as well as powerful tools for live performance. 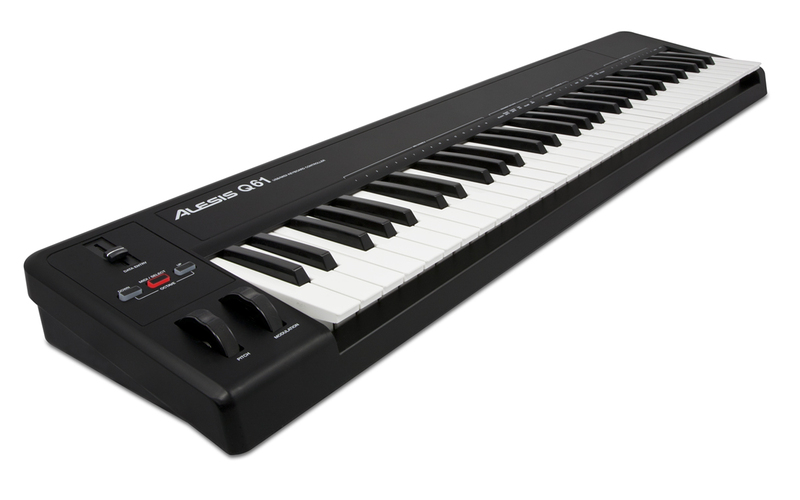 The Q61 from Alesis: expressive, affordable, and essential. *Connection to iOS devices requires an Apple USB adapter, sold separately as part of the Apple iPad Camera Connection Kit, plus a separate power adapter for Q61, also sold separately.